Here in Detroit, we have a wonderful tradition. In the heart of the city we have a great farmer's market known as Eastern Market. Every year on a Sunday in May is Flower Day. This was my third year attending and as long as I live in Michigan - I will be at Flower Day. There are hundreds of Michigan-based vendors selling all kinds of flowers and plants, food trucks, Eastern Market restaurants, musicians on every corner - it's an incredible day. The people watching is incredible - people of all walks of life searching for the perfect plant. GB and I brought our camera so we could capture those sights and share them with you. When I got the camera out to take the first picture, in true Kiss My Smash style, the battery was dead. Hopefully, next year you and I will still be friends and I can show you what it's all about. 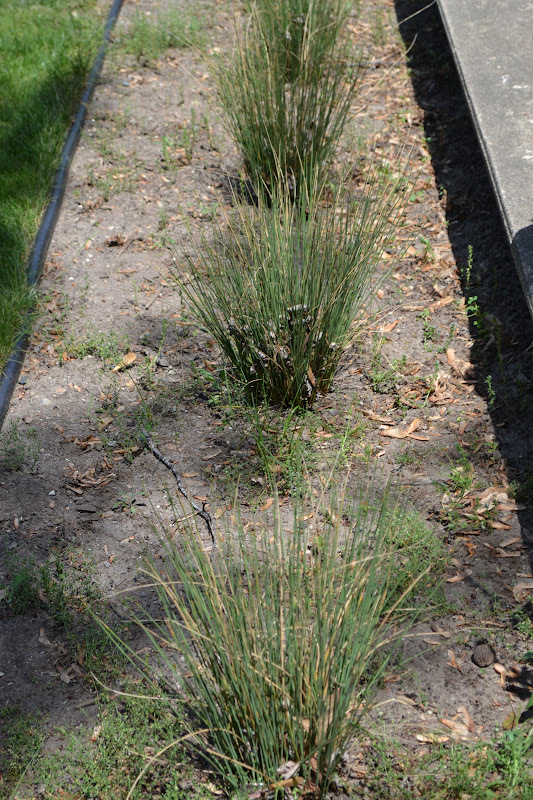 Last year, from Flower Day, I planted some tall grass in front of our porch. I also planted some boxwood bushes to the right of our porch. GB already had 2 spirea plants as well. Don't mind the bags of top soil, new plants and a shirtless GB texting - but hopefully you can get an idea of the placement of the bushes. I was too lazy to set up the shot. I started by planting small Russian Sage plants that I picked up at Flower Day. As they grown they will become wider and taller. The best part is they have small purple blooms - so the plants look as though someone lifted them up, dipped the tips in purple paint, and put them back in the earth. 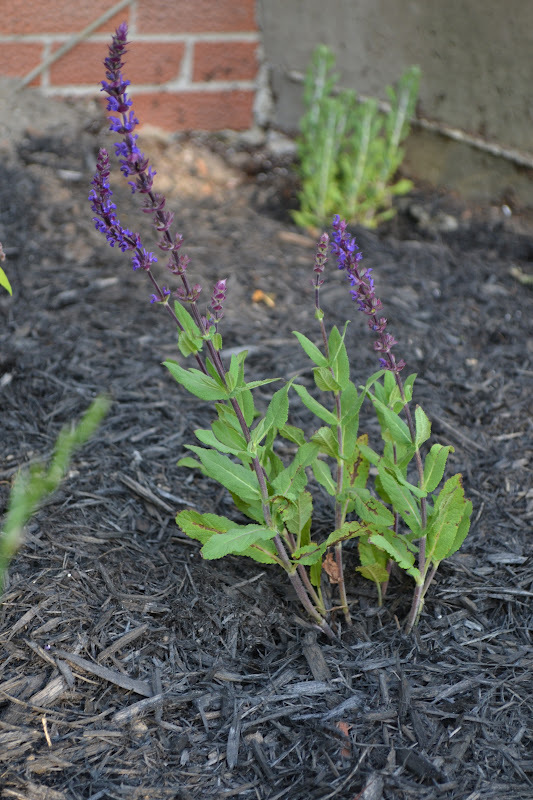 Purple being my favorite color (and I heard this was a really hard plant to kill) I chose Russian Sage to add to the front garden. 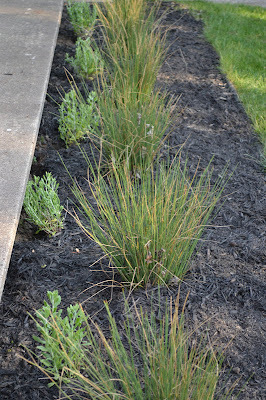 I planted more Russian sage, a slightly different variety, between the boxwood plants. 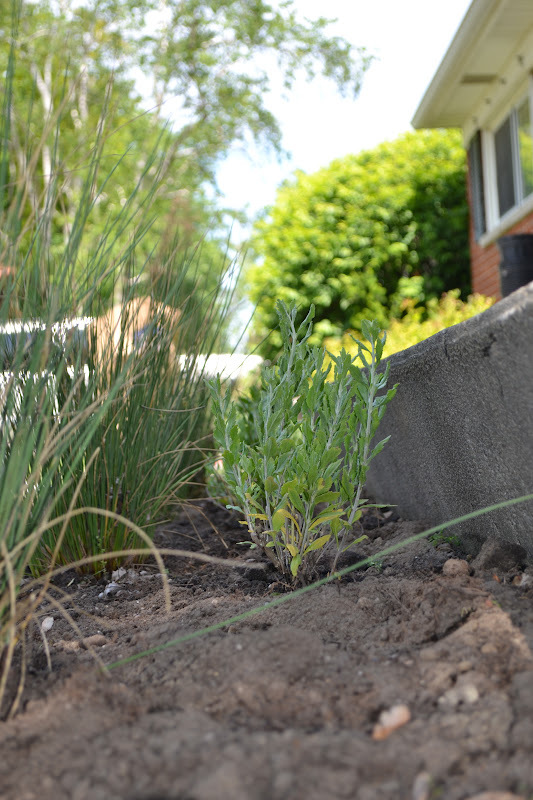 When I was planting the sage, I started using my feet to push down and spread around the top soil. Either I was really excited to be outside enjoying the sunshine and gardening - or I was too lazy to use my hands after awhile. You decide. 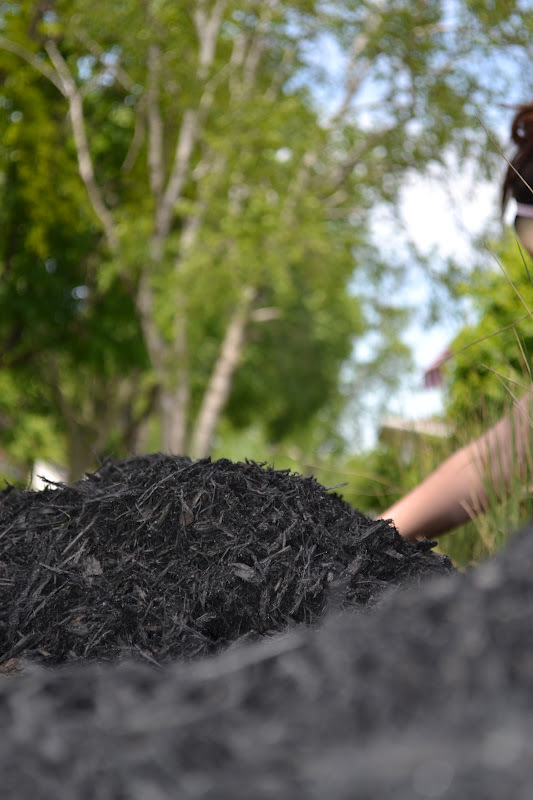 Next we added mulch. 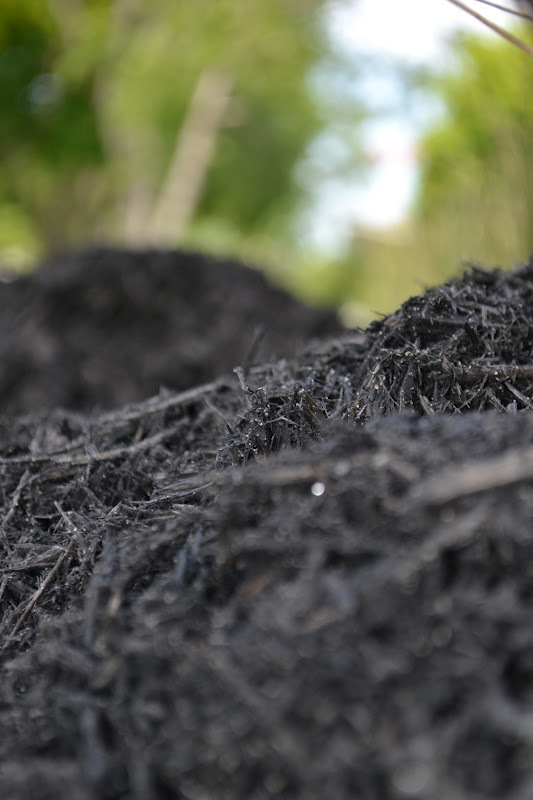 This was my first attempt at using mulch - so I may or may not have done it correctly. But I basically spread it over the dirt. I chose black mulch so the green of the grasses and boxwood and the eventual purple of the Sage would really pop out. Ugh! That dirt on the wall is so annoying! I swear I cleaned that off when I was watering the plants! Why does it keep coming back? One of the vendors were selling their plants 'buy 4 get 1 free' - so I chose this Salvia. (Yep - I googled it, the same thing Miley Cyrus famously ingested.) I liked that it was also purple. I have no idea if I planted in the right spot shade wise, but I'm going to give it a try. The Russian Sage is small now - but it could grow up to 1.5 meters high. All done! What do you think? I know it's minimal - but I like that it looks clean. I'll use the backyard for lots of foliage, and don't worry, I'll share that with you as well. Although I didn't buy any actual flowers at Flower Day - I'm pretty sure it's still a success. I can't wait to show you our backyard.